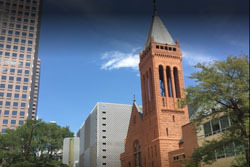 Central Presbyterian Church is located at 1660 Sherman St at the corner of 17th Avenue, catercorner to the Wells Fargo skyscraper (“cash-register building”) in downtown Denver. There are many surface parking lots within 2 blocks of the church, including directly across the street. 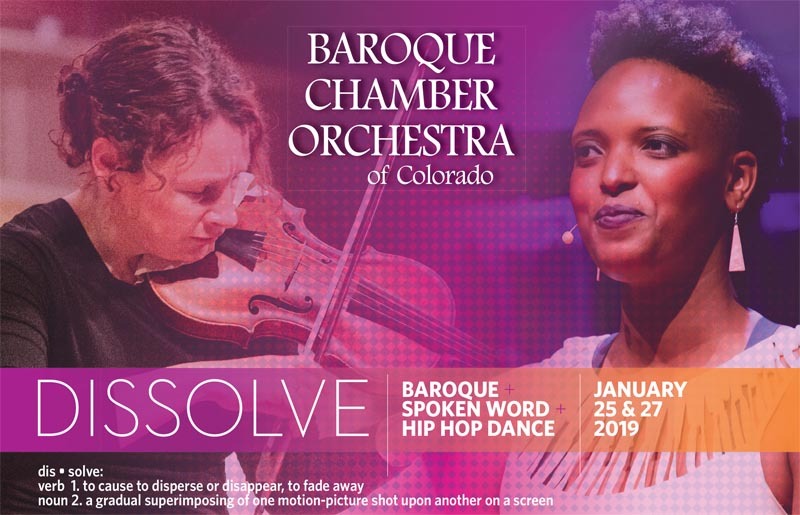 The King Center is a modern performing arts complex located on the Auraria Campus in downtown Denver. 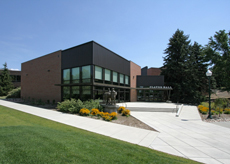 The facility is located at the northwest corner of Lawrence Way and 8th Street. Parking is available in the 7th Street Garage, across from the venue. Claver Hall is located at the northwest corner of Regis University’s Lowell Campus. Use entrance #4 on Lowell Boulevard, between 52nd and 53rd Avenues. Park in Lot 4, just off Lowell Boulevard, west of Claver Hall. The church is located on University Blvd, between Yale and Dartmouth Avenues. 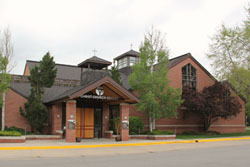 The church is located on the south east corner of Montview Blvd and Dahlia Street, Denver. St. Andrew’s Episcopal Church is a beautiful Gothic-style built in 1907. The familiar Gothic style was influenced by Boston Architect Ralph Adams Cram. The newly expanded church has a lot of stunning art from local artists Marion Buchan and Albert Byron Olson. St. Andrew’s Episcopal Church was added to the National Register of Historic Places in 1975. The St. Andrew's Episcopal Church is located in Denver, Colorado, on Glenarm Place between 20th and 21 Street. Parking is available at no charge on Saturdays, Sundays, and evenings after 6pm in the Good Parking lots to the Northeast and Southwest of St. Andrew’s. Handicapped parking is available in both the public lots and the small lot immediately adjacent to the church. Bethany Lutheran Church is located on Hampden Avenue, just west of I-25, in Cherry Hills Village, Colorado. The church has its own parking lots, accessible from Hampden, South Dahlia Street, and Parkway Drive.